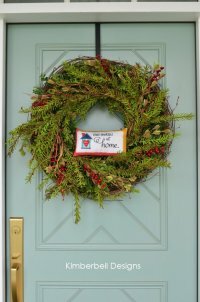 Welcome to "Our Kimberbell Home"
We have them in stock or can order one for you. We have the full line of "Make Yourself at Home" Fabrics! 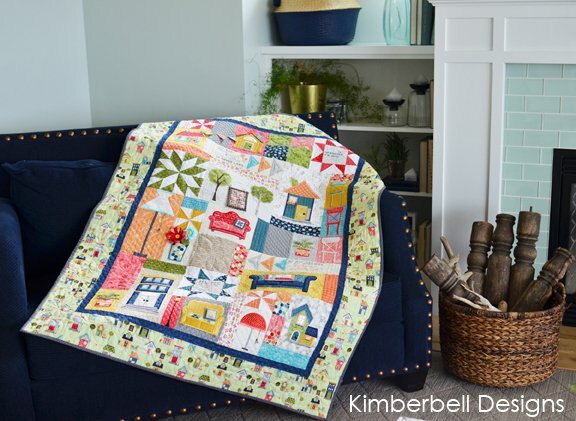 Details: Kimberbell’s all-new decorative quilt features a cheerful assortment of applique and embroidered blocks including homes of all shapes and sizes, a cozy couch, sofa, and loveseat, floor lamps, chenille potted plants, and sweet sentiments. You’ll learn fun embroidery techniques and enjoy traditional piecing with each block. We also have kits for "Around the Block" for Kimberbell! 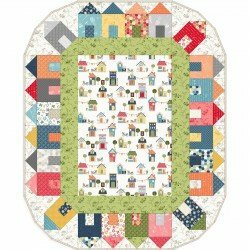 This cute lap quilt will make itself right at home on your couch! Stop in and see all our other Kimberbell projects we have going on in the shop! Many you won't see elsewhere!